ICBS is a Licensed U.S. Customhouse Brokerage Firm conducting business at the port of Laredo, Texas. 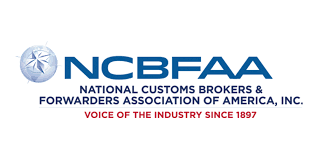 We work with the latest in U.S. Customs automated broker interface to facilitate the importing process for importers when dealing with CBP or any other government agency such as F.D.A., U.S.D.A., U.S. Fish & Wildlife, TX D.O.T., etc. Our facility offers warehouse space for storage, forwarding and transportation…ALL OF YOUR LOGISTIC NEEDS. Warehousing & Logistical Services 24 hours a day seven days a week, Hazardous Materials / C-TPAT Certified, Bills of Ladings, Transloading, Palletize & Storage, Reworks, Assembly and Sub-Assembly Repairs, 25,000 square foot secure facility, Closed Circuit Camera Monitoring 24 hours a day seven days a week, 24 hour security.